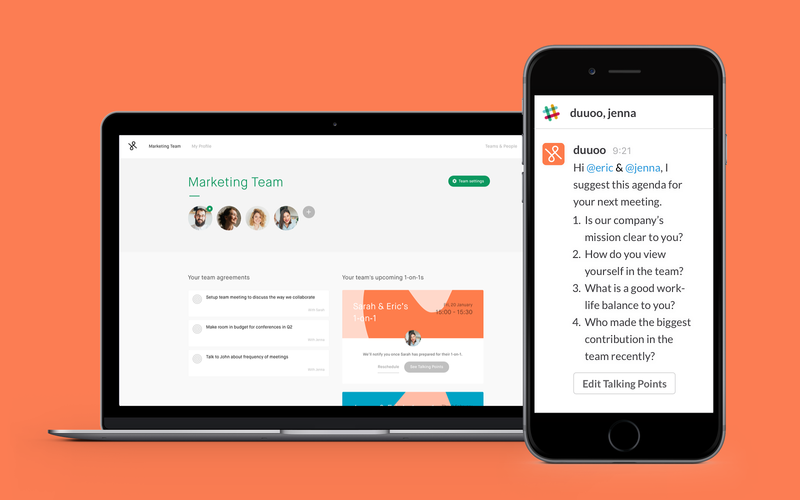 Duuoo is a a modern enterprise platform that transforms people management by providing support to managers with frequent 1-on-1 conversations and continuous coaching throughout the year. With Duuoo, you get everything you need in one platform. 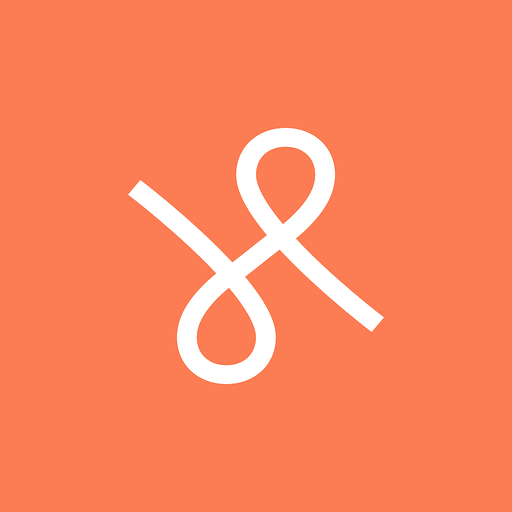 Continuous coaching, feedback and development between managers and their teams.Never miss a 1-on-1 meeting, forget to prepare or follow up on agreements with team members - Duuoo will remind you on Slack. Duuoo will be able to view the email addresses of your Slack workspace’s members. Duuoo will be able to view your Slack avatar on your workspace. Duuoo will be able to view your user id number, full name, and workspace id number on your workspace. Duuoo will be able to view your email address on your workspace. Duuoo will be able to view your Slack workspace name, domain, and icon. Duuoo will be able to install a bot user that appears in and has access to your workspace’s directory. It can also post messages and view activity on messages in any channel it is invited to. Duuoo will be able to access profile information for all users on your workspace, including names and contact information.